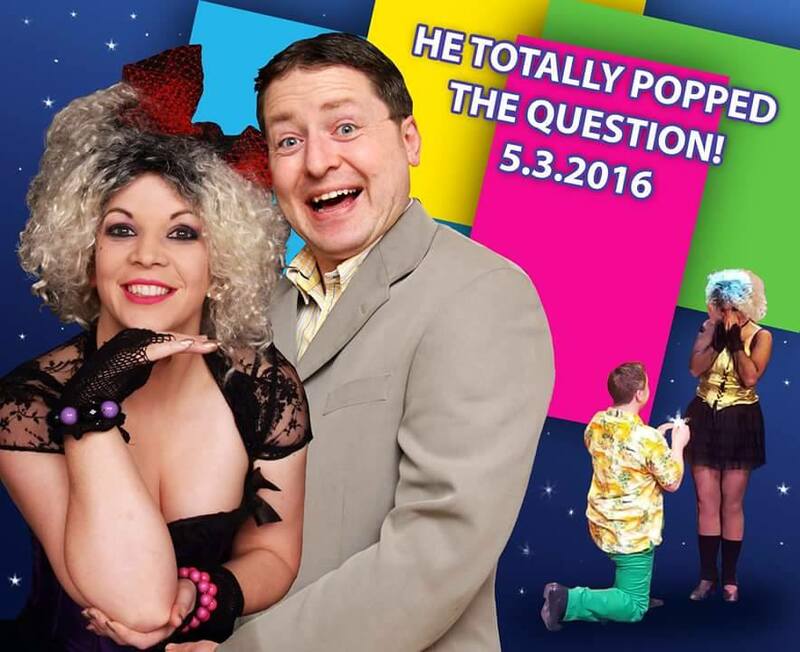 This has to be the most romantic Irish proposal we have seen yet. 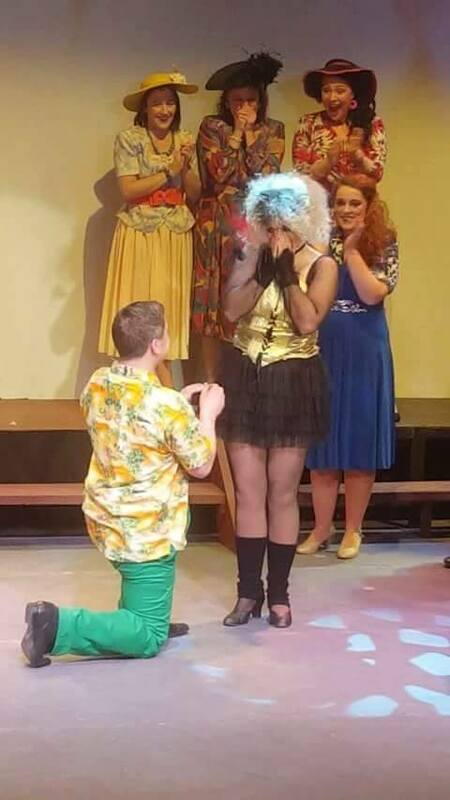 This crazy, colourful display of ’80s outfits and mad hair, were part of Naas Musical Society’s ‘The Wedding Singer’performance on Saturday night. 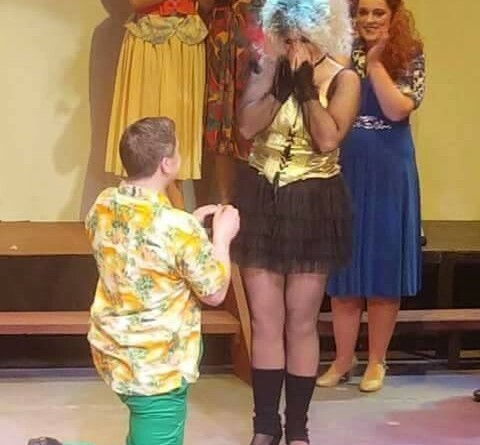 But thanks to one enterprising romantic, Shane Byrne, who played Mookie in the musical, life literally became a stage – when he used his shining moment to go down on bended knee to propose to fiancee, Aishling Conway. The show was about to end and all on stage were taking a bow, when cupid Shane, started to sing ‘I wanna grow old with you,’ bending down on knee and looking up at a starstruck Aishling – who was playing a Madonna impersonator. An audience member filmed this stunning proposal viewed by hundreds of theatre goers. The story gets even more romantic…. 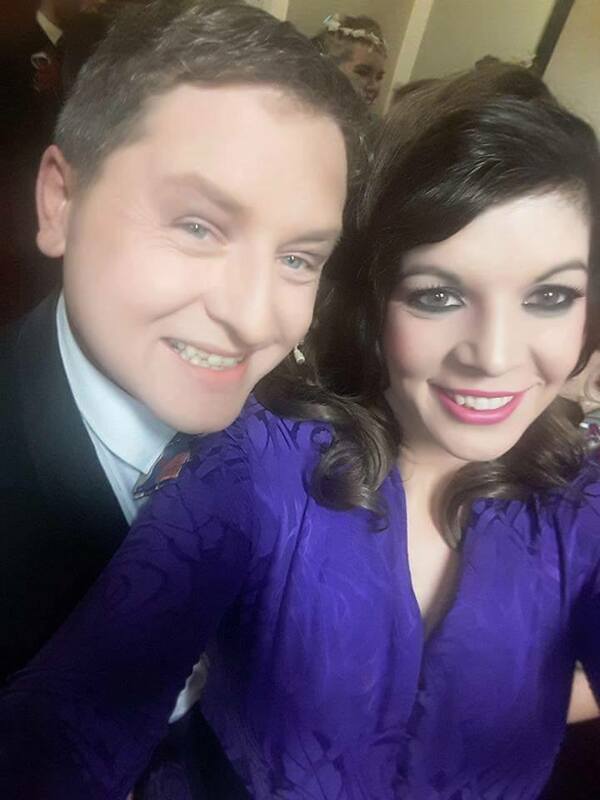 Aishling and Shane met on stage during a Naas Musical Society show back in 1998, when she was just 18 and her leading man, 19. Aishling took him to her debs and the couple remained friends throughout the years – but only a year ago, they finally got together and sparks flew. Aishling said: It was the best moment of my life. I’m very lucky. Shane is my best friend and has been all my life. “His parents were in the audience. We met all those years ago on stage, as kids and I took him to my debs. One thing is for sure, it seems chef Shane, cooked up the perfect proposal…and the couple don’t seem to have any doubt they will have their pick of wedding singers for the big day. But the pair can’t relax just yet because they are still engaged to the show. Watch the link below for the after show sing-song proposal celebration. ‘The Wedding Singer,’made famous by the 1998 Adam Sandler, Drew Barrymore rom-com, will be showing until this Friday at the Moat Theatre in Naas, Co Kildare. Go to: http://www.moattheatre.com/showDetails.aspx?ActID=596 for more information. Was a beautiful proposal. Shane also sang very well it must be said. A lovely couple with a lovely story.